Struggling to get a raise out of your boss? Let master career coach Unre Visagie show you how to approach your manager to get a higher salary. 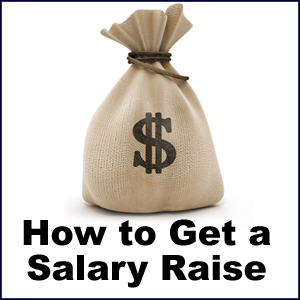 In this coaching video Unre takes you through the process to easily get a salary raise. Please leave your questions in the comments section below. We would love to answer them! We’re looking at careerdevelopmentplan.net’s foolproof Career Maker System and specifically at ‘I must earn more money right now’. We believe that if people move from the boxes they perceive to be real and instead towards a different space everything becomes better and they will continuously earn more. Our more senior people increase their salaries by 20 to 30 plus percent a year by approaching the same work a little bit differently, by treating their environment differently. How do they do it? How do they get to earn more is the question there. We have experience of over 40 years from building teams, then businesses, then doing professional coaching in a wide area, including students at universities and schools, the last being mostly pro bono. The processes are very similar. When people understand how to go implement it and they feel safe and secure they find it becomes very exciting. The foolproof Career Maker System is secure, safe and certain. We hope you find it the same. Let’s look at moving from the boxes to great spaces and earning more right now. We all work and invest to everyone’s mutual benefit. You cannot lose if you follow this approach. We usually start with the words ‘they’, ‘them’, ‘always’ and ‘again’, feeling that control is external, when in reality the external view always lead to frustration because the people out there do not worry so much about you. They tend to worry about themselves and the things they are paid to worry about. Know what you are currently doing, and know what you want to do more of and want to do less of. Prepare that message, prepare a story, be clear about it, with the right knowledge, insight and clarity people will come to you. A man with a plan is always welcome. Thirdly, once you are prepared you will engage and communicate your current work list, your wanted work list, and the list of work you want get rid of and delegate to other deserving people. Let’s take a look at your role as a cogwheel in the great machinery of industry, production and economic communities. If you drive the whole thing drives, you don’t have to wait for the engine to drive you. What we find is that most people never develop the ability to make their cogwheel fit to the engine, the engine is not going to adapt to us, we can only adapt to the engine. The board and executive is there to see that we do more with less capital, since that would generate a higher capital for shareholders, meaning all of us get more capital at a lower cost to produce even more. That will grow my career, it grows my job, and it grows what I earn. In the production engine, in the teams I play, the contribution I make, I cannot but grow my salary 20 – 30% a year. if I fit and I’m clear, I’m always wanted, I’m always in demand. Lastly, and the most important, the client comes shopping, what does he buy from us? What do I contribute to what the client buys? If I grow my insight into our clients and their wants, the industry, our investors, our businesses and our competitors, my ability to contribute takes a leap. I also need know what to say no to, which is almost more important than knowing what to say yes to. We found over the years in our companies, in our coaching and in our pro bono work with students and schools that saying no seem to come very hard to us. If people are confident to what they say yes to, they become very confident what they say no to. Once you know what you really want to do, you get loaded with what you want, and it’s easy to say no to what you don’t want. When the client comes shopping he must find what he wants. My contribution to the team must be clear, our contribution to the executive and the board must be clear so they can get more capital for us and keep the shareholders very happy. If everybody does well I cannot help but do well as well, provided I communicate. That is one more way to move from the perceived boxes to the great spaces. Let us look at the first one: know what you currently do for whom. What we have found in our companies and recently with some people we coached, people don’t quite understand the value of their contribution, how they as a cogwheel fit in and what they do. Remember that you are much more than your work, we’ll come back to that one. In your work, understand your value. Understand and discuss the value of what you do and what you want with the influencers around you. What should you do more of? Recently that was my first question to two senior people, Albert and Ken, what is it that they want more of? What is it they want less of? Clarifying that and writing it down, made them go back to their workplace and change the content of their work in less than a few weeks. Once you know and you are confident to communicate because you are prepared, you automatically move up the scale. You know what to say no to, you know what to say yes to. Let’s move to the next one: prepare. If you look at preparation to communicate, we find it very useful if you use people around you, bounce it of them, and get their support. This can be colleagues, friends, family, and even selected recognized business and industry gurus. They would love it if you approach them with a plan, with respect and you recognize them. You will hear more about that. Identify those who have the insight, who can help you. Practise these communications like you practise for a speech and any situation in real life. Exercise in front of a mirror even, exercise in safe groups around you before you go to the outside world, the influences, the clients, the industry people, and the shareholders. Elsewhere on the website we talk extensively about the power of stories and how to tell stories and why you tell stories. You’ve got to be clear and comfortable with stories, show your insights, show your research, and show your preparation. Thirdly, engage and communicate your current work list and add to it your wanted work list. Add to it what you don’t want and your plan to delegate. With the wanted list you will have a plan to volunteer. Keep doing what you are currently doing, because if you don’t get your job done you can’t do any of these things. Ask and share with selected influencers. Use sharing and questioning skills very effectively. Elsewhere on the website we’ve put pages for asking and sharing skills and there’s a vast amount of information. If you’re already good with it ignore it. Many of us need to practice it and more of us have to use models to do it because it takes quite a long time to make it an ingrained habit. It takes a lot of exercise. You know it takes five years to learn golf, ask me, especially if your talent for golf is a bit low like mine. Respect and acknowledge those influencers. I’ve never seen anyone refused if they arrive with a clear plan and respect. They are able to say why they respect the person and why they approach them in absolute humbleness for their advice. We find that close to 700 students at North-West University, South Africa, get holiday work that they have chosen using this technique. A third of them get jobs that were never advertised. They’ve hired themselves. Elsewhere on the website we will give you a video and the processes to hire yourself at the company of your choice, location of your choice, job of your choice. If we then look at earning more right now, which is our objective here, what stops us are those perceived boxes. The boxes are built out of many perceptions, and unless we move, explore and gather new insights, the box will remain the same. That brings us to the statement that more of the same equals less because we keep on expending effort and we don’t get the results we want. We must change; we must think differently and get rid of our perceptions, simply through gaining insight, knowledge and some awareness. You must know what you want to do, you must prepare and communicate, and you must engage the influencers and communicate with them. It’s very simple. Who are you? You are much more than your work skills. You are a family person, a community person, and all kinds of things. But you’re also a person that works. Your store of assets in this case, your natural talents, your experience etc. brings you to the point that you currently do what’s on your to-do list. You can see where your strengths exceed your to-do list and where you need to build some strength. We’ll talk much more about that in another video. Your current list, knowing what you do, preparing and communicating, will be based on your current activities and your current store of assets. It’s interesting that everything anyone of us can possibly need is available; we’ve proven that over and over, we’ve built 28 companies over time. I like to start companies and then pass them on. We’ve been running incubators for a long time and in those companies we have developed people. That is where all of this comes from, originally based on Hewlett-Packard processes as we knew Bill and Dave in the seventies. It’s all out there for you. You make a staircase of your own and you climb it yourself. It can be a bit scary to make and climb the staircase; this process is discussed in more detail in another video. Let’s get started. Explore and identify what you contribute right now, re-frame it, refresh it, understand it, and match it to your natural strengths and your required strengths. Prepare with people around you. You will know who among your family, colleagues, and friends will help you. Also identify people you admire, remember how to approach them so they never say no. They will help you prepare, then you are ready to engage the influencers. If you arrive at the influencers with a clear plan, clear insight, and a wide understanding, they cannot but notice you, notice what you do and compensate you properly because they will start competing for you. In this process you already grow your store, you grow your relationships, you grow your insights and you practise skills that naturally grow. In this process you already get double benefit by growing your store. When you do this, even if you just want to earn more right now, it’s good to keep in mind that your job, industry and company need to align and you need to place your store where it suits you in the centre. Align yourself in your job, the work you do and the career you want. This will effect that you stay in charge of your own salary increases: how can they not pay you if they know what you contribute as a cogwheel in this great engine we call the economy, business etc. You will end up with continuous possession of insight, knowing where you are and where you are going, gaining the confidence to communicate it clearly, and this will take you to the great space where your store grows and let you grow. Earn as much as you want, where you want and when you want to. While your clear purpose in this case is to earn more; we recommend that you keep your work, job, company and industry aligned. It will be like a vision and mission for your career, your objectives, tasks and goals are aligned, because your mission is clear, you can call that your strategy. There is much more of this model in our later detailed videos as we progress. It’s good to identify what is known and recognize the way it is. The ? typically have no influence in this area. Again, if I can use Ken and Albert, we explained to them that in their businesses there are simple ground rules that are like laws in a country, obey the law while you work to change them. You can’t really spend your energy in this area, it is very negative. Rather understand the area where you have influence and synergy and it’s known. This is a very good area to play in. There is a third area that’s very exciting, where I would rather spend my time. There are new options, you look forward and there is a future vision, rather than fighting the rules. People so easily get into the trap of fighting the rules; avoid that negative at all cost. This is the long term future which is unknown and has no immediate influence. We are not looking at that today. Now look at Career Maker; we really believe it’s the foolproof system to let you earn more. Let’s look at the business toolset, simply go to careerdevepmentplan.net, go to the table of contents and look at the entrepreneurial and business processes. In the personal toolset, I specifically want to look at the one I think that people who want to increase their salaries need to look at most. That is interpersonal skills. You can see that a full list of skills is available to you at very low cost, if any. There’s a full index and different chapters and to make you aware we’ve sent an email soon. We’ll send you a list to help you establish your priorities and which one you should focus on first. We don’t want you to search when we can help you to quickly find exactly what you want. Stay with us and wait for the next email where we hope we’ll take you right through this process to get the increase you want as soon as practically possible. The next email should be in your box in a day. Thank you very much.